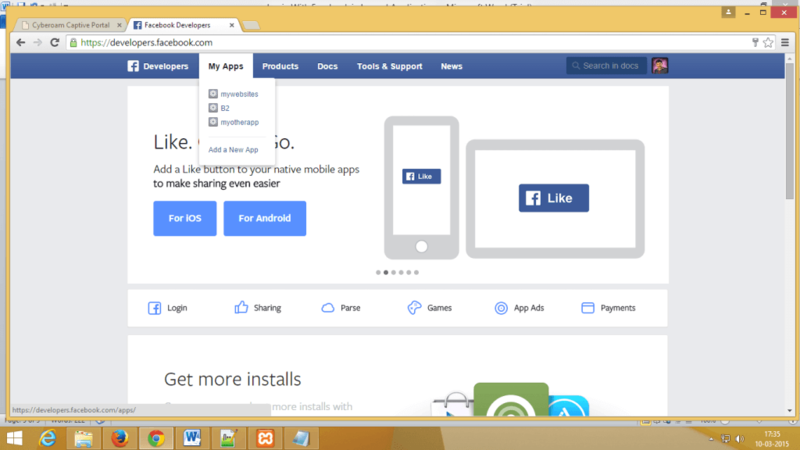 Nowadays all web applications provide “login via Facebook” option. Today I will teach you how to create “login via Facebook” option in php framework, Laravel. 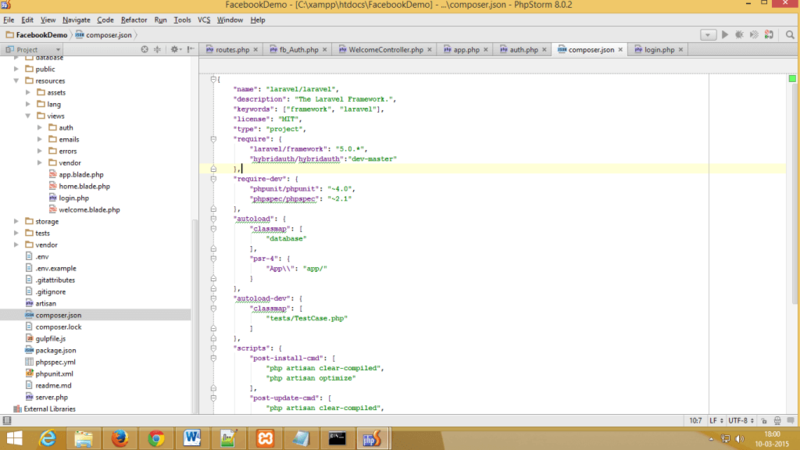 For this we need to use HybridAuth API package in Laravel. Note: You should be having basic knowledge about laravel framework and its working in order to understand this blog completely. 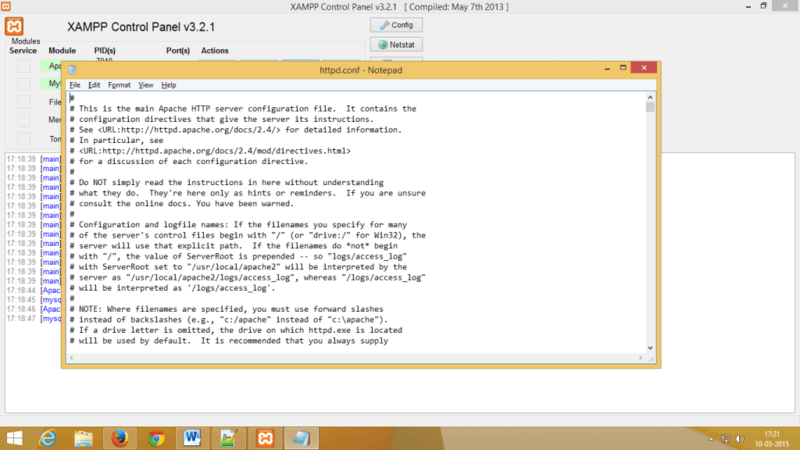 Here I will be creating my virtual host for Xampp server. 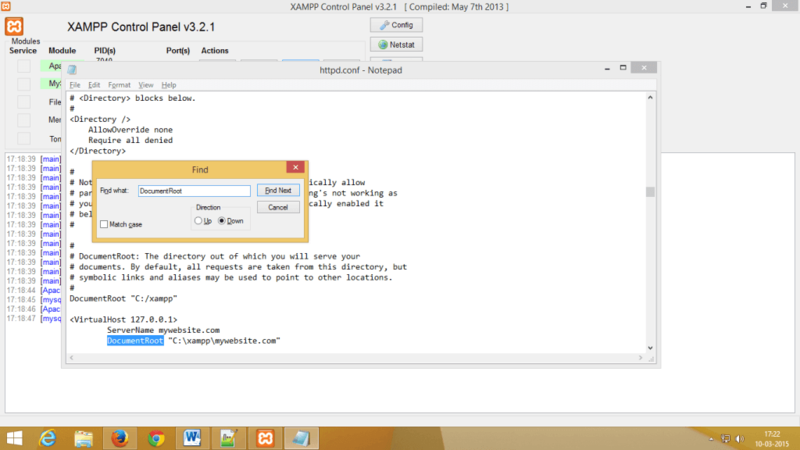 You can also create your virtual in different servers like MAMP, WAMP etc. 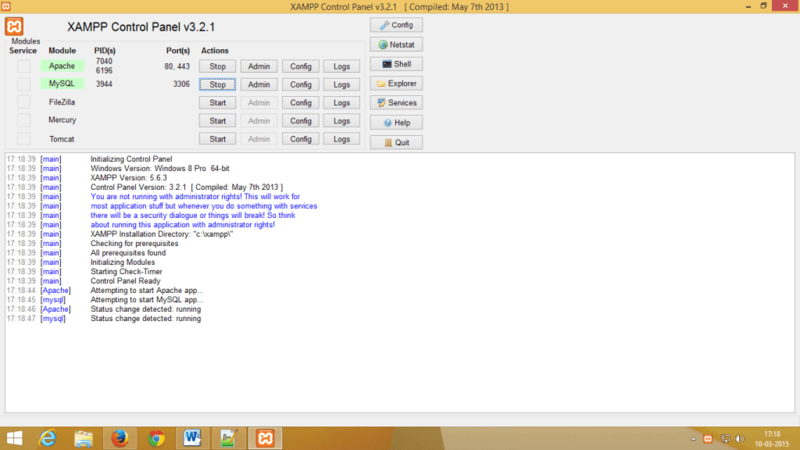 -> Start the Xampp Control Panel. 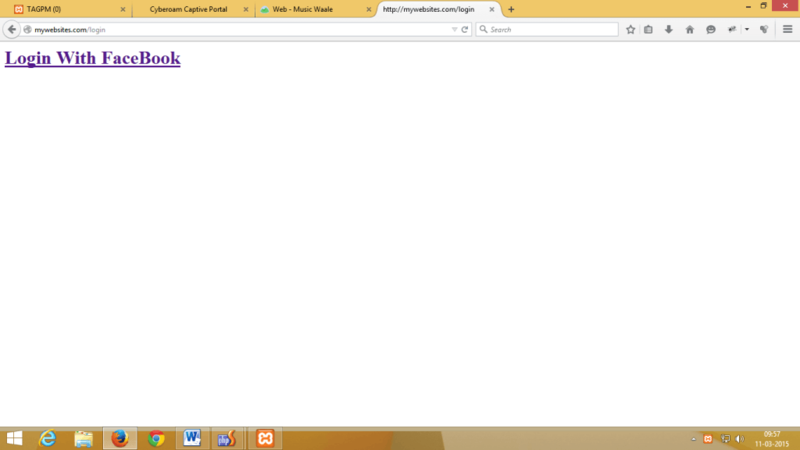 -> Click on the Apache Column Config Button. -> Select the Apache(httpd.conf) and open in any text file. -> Now find the short-cut key ctrl+f or edit menu to click find. You can add one or more virtual host in this location. Now your httpd.conf file is complete. 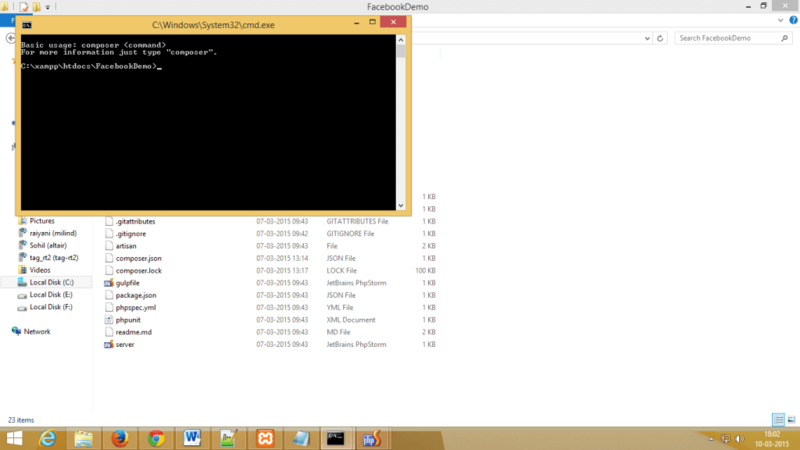 Goto: \Windows\System32\drivers\etc folder and open hosts file. Write your hostname after 127.0.0.1. And then save the hosts file. Now your virtual host is created successfully. Go to your browser and type your virtual Host name. 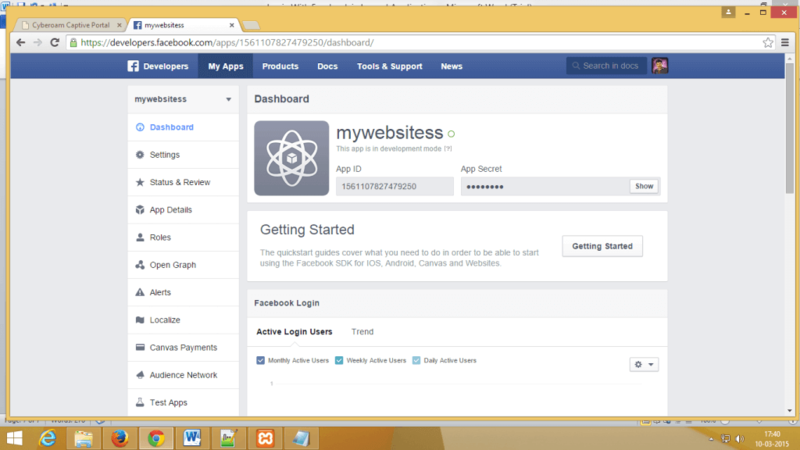 Step 2 Create facebook app for your website. -> Select My Apps link and click on Add a New App. 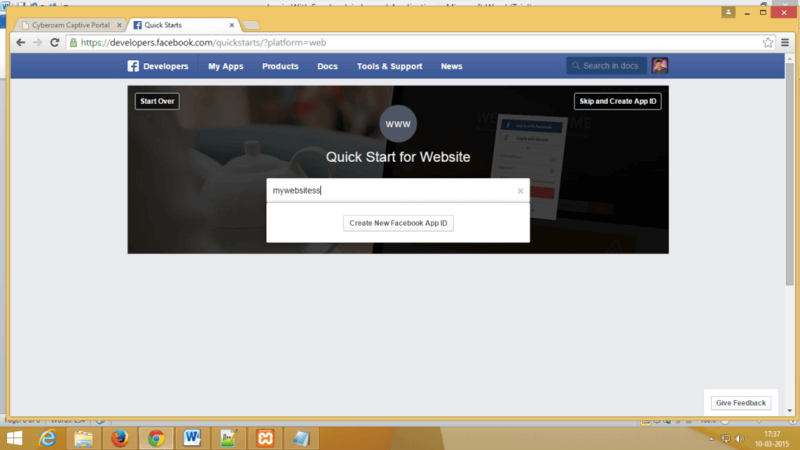 -> Type name for your web app and click Create new Facebook App ID. 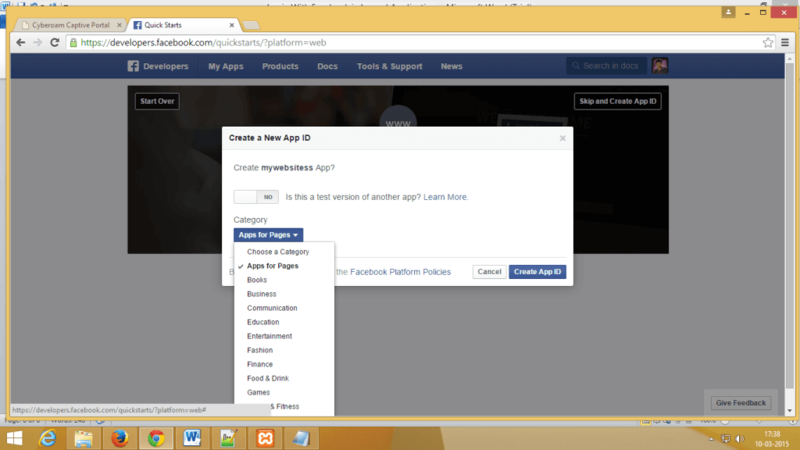 -> Now choose Category for your Facebook App and then press Create App ID button. -> Now clicking on My Apps link will display following screen. -> Save App Id and App Secret key for future use. -> Now go to Settings link. 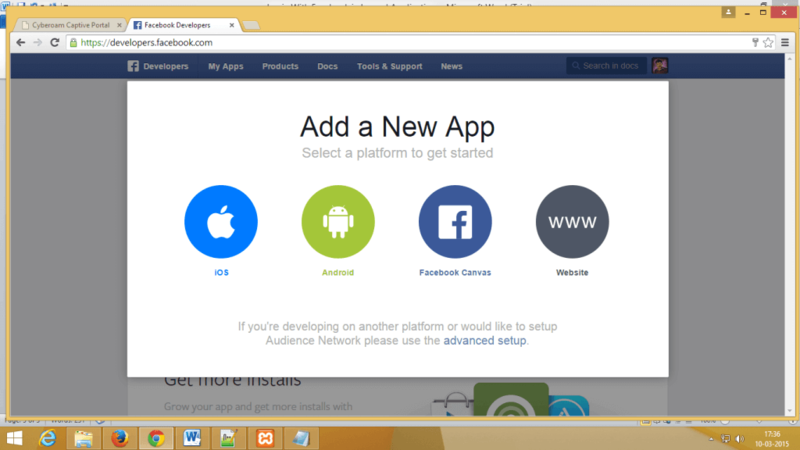 -> Now in App domains, type your newly created virtual host name (here: mywebsites.com) and click Save Changes button. -> Now goto Advanced Link tab. 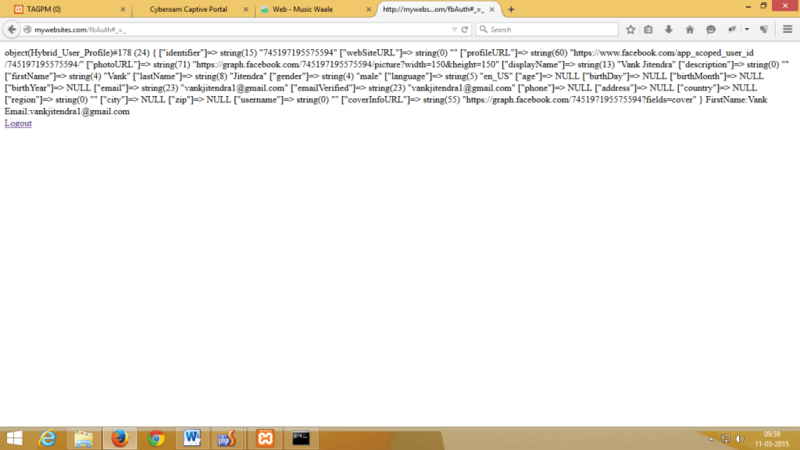 Your Facebook Web app has been created successfully. -> For creating laravel project you should have composer installed in your system. -> Open composer in your terminal window. 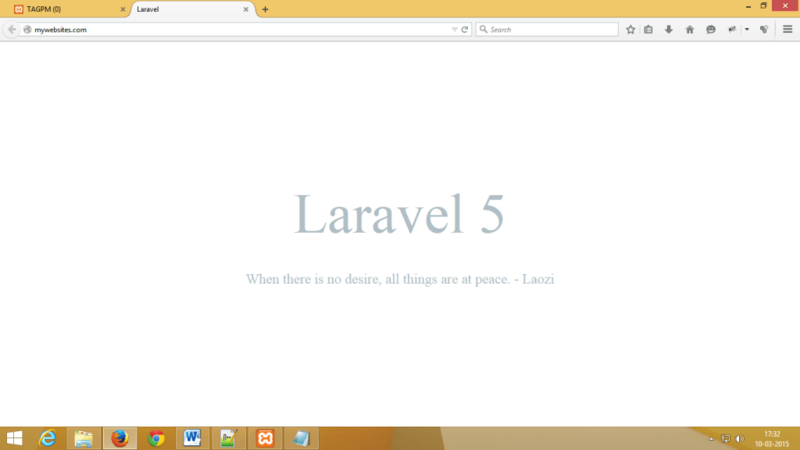 -> Type “laravel new projectname” (without quotes) (Here: laravel new FacebookLogin). Your Project has been created successfully. 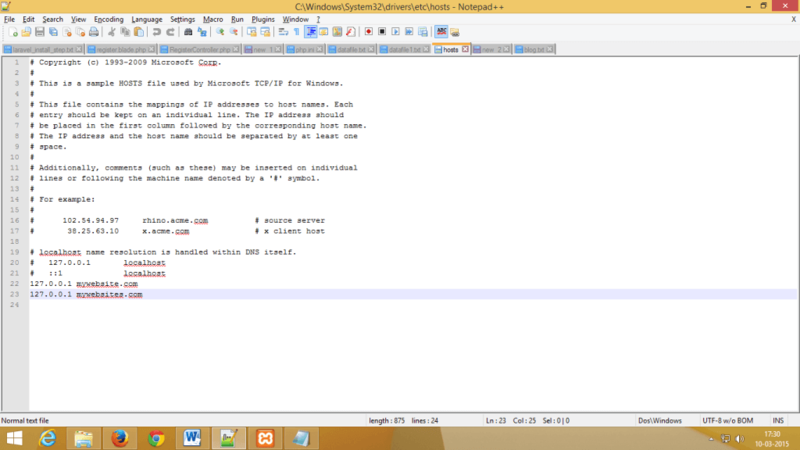 Step 4 Install HybridAuth Package in your application. Now update your composer by typing “composer update” in your terminal (Your terminal should be locating your project folder as shown below). Now HybridAuth package will be installed in your application. 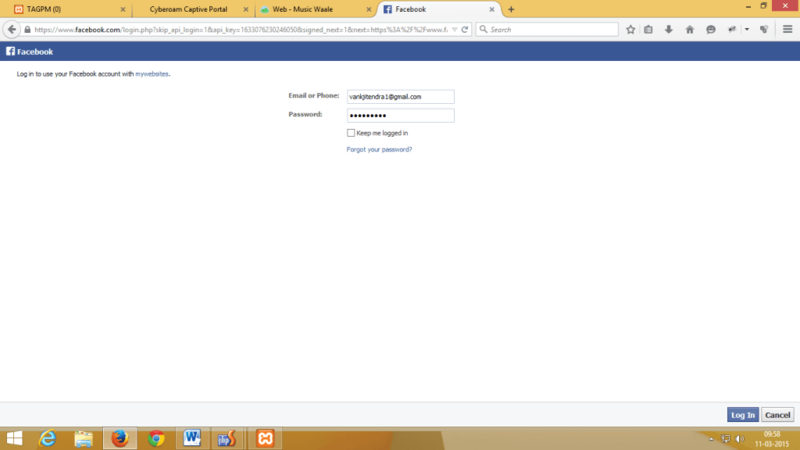 Here login.php is view file which contains a simple link to Facebook login as shown below. Now finally create a logout method for logging out users. Step 6 Run your application. Now open bowser and run your application. Click on Login with Facebook link. 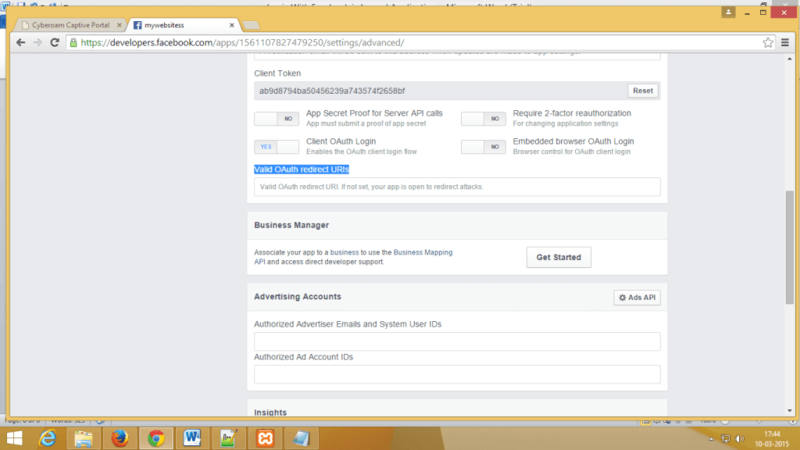 Enter your Facebook email and password and press log in button. You will be displayed with all the user public profile information. You can now use them as you like in your application. And on clicking logout, you will be logged out. 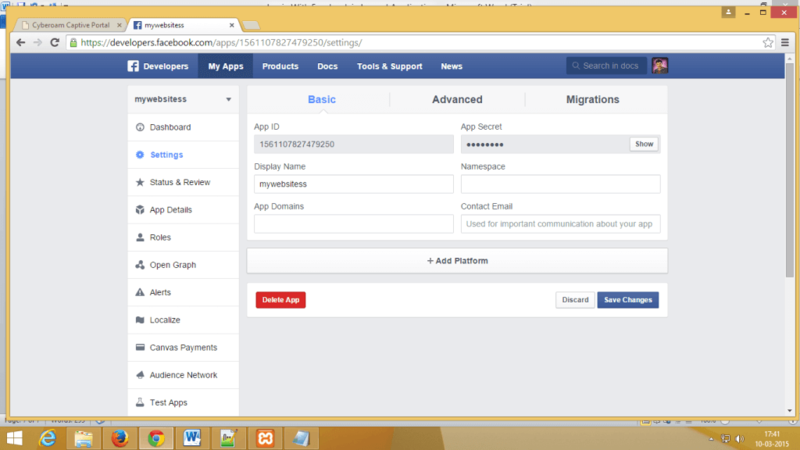 I hope this blog post will help you how to Login with Facebook in Laravel Application. Let me know in comment if you have any questions regarding Web. I will reply you ASAP.